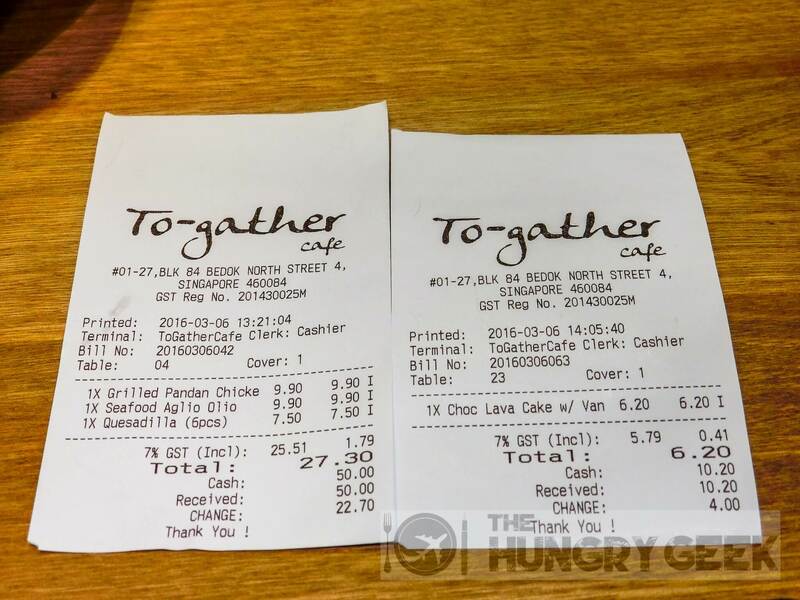 To-gather Cafe is the most unknown yet famous cafe that we have come across. 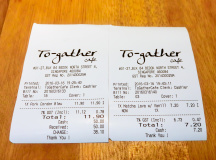 We had never heard of To-gather Cafe until just a couple of days ago, when their name popped up in our research for nice brunch cafes in the east. Yet their Facebook page has almost 24k likes as at the date of this review. We and our friends were shocked at the sheer number of fans on their page, given their presumed obscurity. Even the very famous cafes in Singapore struggle to break 5k fans, and few really get past 10k fans. We were eager to unravel the mystery of how To-gather Cafe did it in less than 2 years of operations. So why do they have so many fans? 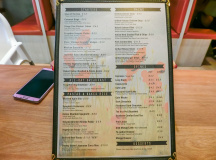 They have many incredibly unique and delicious signature dishes – Mexican Quesadilla, Grilled Pandan Chicken Chop, Pork Cordon Bleu – and they also have some really super delicious lava cakes – the Matcha Lava Cake (matcha is green tea powder) and their Chocolate Lava Cake! This is one of the larger cafes that we have seen, with two large dining areas separated by a partition. The interior was really nice and hip, and it would be a really great place to chill out over your favourite drink. At To-gather Cafe, the wait staff will seat you to your table, but you will have to make your order at the counter, much like Refuel Cafe. The recommended signatures here are their Mexican Quesadilla, Grilled Pandan Chicken Chop, Seafood Aglio Olio, Pork Cordon Bleu and their Chocolate or Matcha Lava Cakes with Vanilla Gelato. We ordered all those items just to bring you this review, and we added a couple of kilos in the process. This is Mexican tortilla filled with grilled chicken slices, sauteed bell peppers and mozzarella cheese! The dip is fresh tomato salsa. For those that are not too familiar with Mexican food, this is really a fantastic introduction! We loved it. The tortilla was served pipping hot and the chicken, bell peppers and cheese gave the most amazing fragrance with the perfectly cooked tortilla. The tomato salsa is the coup de grâce that makes this dish a super delicious 4.2/5. This will set you back S$7.50. This is a Mexican taste that you will probably not be too familiar with, and it was a refreshing change from the norm. This is a really interesting dish. We haven’t really heard of pandan-flavoured chicken chop and we were really eager to try it. The dish arrived with a maximum emphasis on presentation, and it was nice and hot too. Cafes and restaurants have been starting to put the meat on top of fries, and we really hope that they stop it. While it really looks nicer to put the chicken chop above the fries, I would personally prefer oil-and-sauce free crispy fries to enjoy. To achieve the pandan flavour here, To-gather Cafe used some super fragrant coconut sauce on the chicken chop. This gave a really strong pandan taste that complemented the perfectly cooked chicken chop very well. The chicken chop was super tender and succulent, and we had no complaints about it at all. The fries were crispy and decent, but they would have definitely been better and less soggy if the chicken chop was not placed right on top. Nonetheless, we rate this dish a very respectable 4.1/5, and we must give big props to To-gather Cafe for giving us this novel and unique dish that we have not seen before. You can get it at S$9.90. Do not be fooled, this is not your ordinary pork cutlet dish. The breaded pork loin is stuffed with ham and cheese! We haven’t seen too many of these around lately. 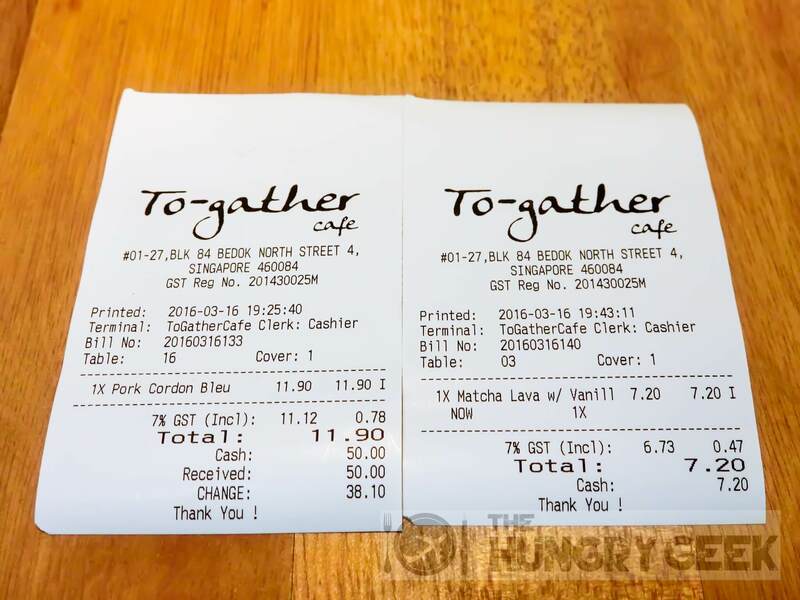 To-gather Cafe really knows how to line up a bunch of fascinating dishes in their menu. The melted cheese simply oozes out as you slice through the pork cutlet, and we were really drooling as we were capturing the photographs. This tastes just as you can imagine, crispy breaded pork loin with piping hot cheese and ham within. This is really comfort food. We rate this 4/5 and it is priced at S$11.90. We finally discovered the main draw of To-gather Cafe. It is their lava cakes. They have matcha and chocolate varieties – matcha is green tea powder (wow!) and their best seller is the chocolate lava cake. We actually did return on another day just to try their green tea lava cake. We eat a lot of chocolate lava cake all over Singapore, from Wimbly Lu, 3 Inch Sin, Wine Company, Häagen-Dazs, etc. 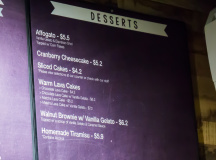 While our top choice is still Rider’s Cafe’s Death by Chocolate Cake – yes, that is not exactly lava cake, but it beats them all nonetheless – we were very impressed with To-gather Cafe’s iteration. They have the timings down perfectly, giving the inside of the lava cake just enough super delicious liquification goodness. The chocolate that flows out from the inside is just perfect, not too watery and not too solid. 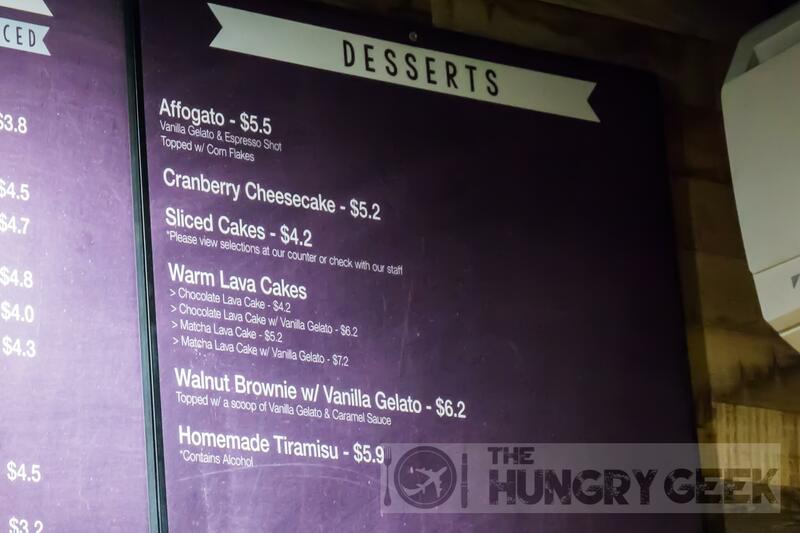 While it seems common sense for dessert cafes to get the timings down perfectly especially for lava cakes, we have actually found most of them wanting, and so we must give special props for To-gather Cafe for doing this really well. The chocolate flavour within is super delicious, and as you would expect, the hot chocolate lava tastes heavenly with the ice cold vanilla gelato. We rate this a super delicious 4.3/5, and you can get it for S$6.20. We can’t say that this is the one and only Matcha Lava Cake in Singapore, but good luck finding another one without Google! Matcha is finely ground powder of specially grown and processed green tea. This is basically a super delicious green tea dessert! The green tea taste is perfectly light and not too overwhelming, and Sheryn really like how the matcha lava gave a refreshing contrast to the savoury mains. This is really great for green tea lovers. The matcha lava and the vanilla gelato goes perfectly together. We rate this 4.2/5 and you can get it for S$7.20. Faith in humanity restored! For once we see a hipster cafe with a ton of Facebook fans that is popular because of the food they serve, as opposed to many others that simply rely on the usual marketing tricks. They have super delicious delightful food that we don’t really see often – their Mexican Quesadilla, Grilled Pandan Chicken Chop, Pork Cordon Bleu and Matcha Lava Cake (green tea?!). They also have one of the best Chocolate Lava Cake that we have eaten in Singapore. 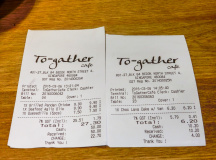 We really hope that cafes in Singapore can start differentiating themselves by bringing out unique and delicious dishes like To-gather Cafe has done, as opposed to rebranding all-to-common dishes coupled with some cheap marketing moves. Before we forget, To-gather Cafe is just next to the famous Market 85 Food Centre in Bedok, so this is really the perfect place for dessert right after your late night hawker centre adventure! Antoinette Salted Egg Yolk Croissant – The Best? In "Singapore Cafes"
First Love Patisserie – Mille Crêpes In "Singapore Small Bites"